We roast our coffee in our own in-house roastery. „ Viennese Roast“ – fresh every week! 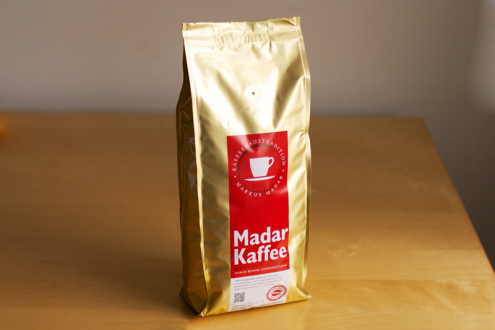 100% arabica, Ethiopian highland coffee, province Kaffa, hand-picked, not sprayed and without preservatives. Ethiopian highland coffee, arabica grade offers best quality as it grows slowly and can hence develop more taste and flavours. The hand-picked provess ensures that only ripe beans are harvested. Fresh coffee, coffee is roasted every week. We can avoid long storage. 100 per cent arabica beans, no admixture of cheaper low quality Robusta beans. Ecologically cultivated and fair trade. Green coffee is directly purchased from an Ethiopian peasant cooperation and not traded on the stock market in Addis Abeba which results in higher prices for the coffee farmers. From my personal point of view, everyone should be given the chance to try this wonderful contemporary coffee. 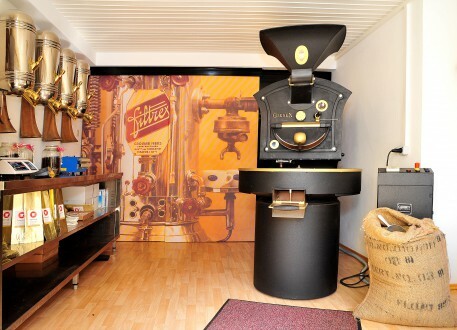 The specific roasting has been established in cooperation with the Austrian reputable coffee expert, Prof. Leopold Edelbauer, President of the Austrian Kaffee-Institut für Unabhängige Ausbildung. We are member of the "Vereinigung von unabhängigen Röstereien".